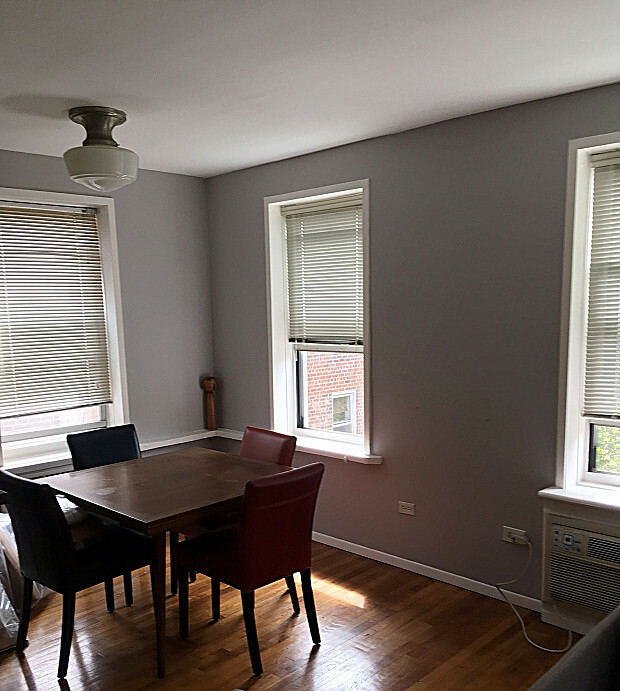 Apartment interior painting after bedbug treatment. Professionalism, knowledge, and the lowest estimate by far. In the last year, I fulfilled my dream to retire and travel the world. But I came home to a nightmare … bedbugs! It’s a real New York problem. In order to have my apartment fumigated, I had to clear everything out of the closets and built-in bookshelves. So when it was done, I decided to turn lemons into lemonade and paint the apartment. I never liked the old color, anyway, though I’d lived with it for 10 years; I had gone for a gray and it came out light blue, which just was not me. 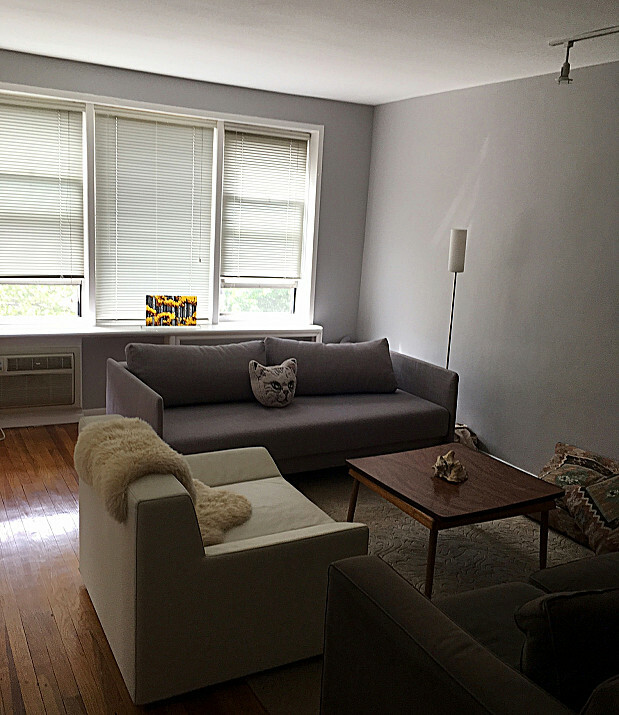 This time, I got exactly the gray that I wanted – very serene, very Manhattan. Four paint contractors gave me estimates. Gassama Plastering and Painting was the one I chose because I was so impressed that they could price the job out right away, “You’ll need 5 gallons of this and 4 gallons of that.” It was obvious that they had experience and knew what they were doing. Besides, their quote came in much lower than the others. The top estimate was $5,500 for painting a one-bedroom apartment, but Gassama came in at $2,500. That’s a big difference! The painting turned out beautiful. The bookshelves were outstanding, done in high-gloss oil-based paint, which is hard to work with. The crew did excellent prep, carefully protecting my hardwood floors, and great cleanup afterwards. They also caulked around the edges of my rooms, because I think the bedbugs may have come from my neighbor’s apartment. It was such a pleasure working with them – good craftsmanship, good personalities, very professional. For Manhattanites, I have some specific advice: Order your paint and have it delivered. In terms of choosing a painter, meet with contractors and get 4 estimates so you can compare. Beyond that, you have to go with your mind, but you also have to go with your gut. You need to find people you can trust and then leave them to do their job during the day. You can’t hang over them while they’re painting in a tiny little apartment. The four days my crew was working, I went to the movies. You have to feel comfortable. If you don’t, don’t hire them -- no ifs, ands, or buts. I Appreciate My Painter For All The Things I DIDN’T Have To Do by Jolesa K.
Light Fixture and Vent Fan Repair Inspires Me to Get More Done by Michael N.